The fitness industry is full of myths, fads and gimmicks; I set them straight and focus on what actually works. I provide clients the tools they need to be successful, reach their goals, and teach them how to maintain a healthy lifestyle. Independent contractor providing one-on-one personal training to help clients reach their fitness goals including sports performance, weight loss, injury prevention, nutrition coaching and proper form for every day activities. Provide one-on-one and small group training including functional training, injury prevention and weight loss workouts to help members achieve fitness, health and nutrition goals . Provide education, recipes and articles to help clients make healthy and sustainable changes in activity and dietary habits who participate in one-on-one and small group training. Lose to Win Coach - 8 week weight loss program in small groups. 3 workouts per week consisting of weights, cardiovascular endurance and one-on-one nutrition coaching. Voted Pasadena's best weight loss program. Provided one-on-one and small group comprehensive resistance training, weight training and cardiovascular training, including nutrition plans, to help clients achieve their weight loss and fitness goals in 16 weeks. Instructed Bridal Boot Camp group classes emphasizing weight loss, toning and healthy food choices. Member of UOI's dance company, "Dancers in Company"
Proficiency in prenatal and postnatal physiology adaptations, musculoskeletal & metabolic adaptations, maternal responses to acute exercise, fetal responses to acute exercise, aerobic and resistance-training effects in labor and delivery, exercise guidelines for pre/postpartum and nutrient requirements throughout pregnancy. Nationally accredited by both the NCCA and the European Health and Fitness Association (EHFA) ACE is the world's largest nonprofit health and fitness certification organization. Used by trainers, athletes and the US military the TRX Suspension Trainer provides greater performance and functionality than large exercise machines by using your own bodyweight and forcing you to engage your core. Certified responder to common first aid, cardiac and breathing emergencies including the use of the automated inflatable defibrillators. FNS's provide scientifically supported, practical and relevant nutrition advice to clients. Certification allows trainers to give advice on selecting and preparing food, reading nutrition labels, and choosing meals that facilitate weight loss, improve athletic performance and meet special dietary needs. I am a 100% vegan athlete and I have competed in eight fitness shows with the World Beauty, Fitness, and Fashion (WBFF), Inc. starting in 2011. 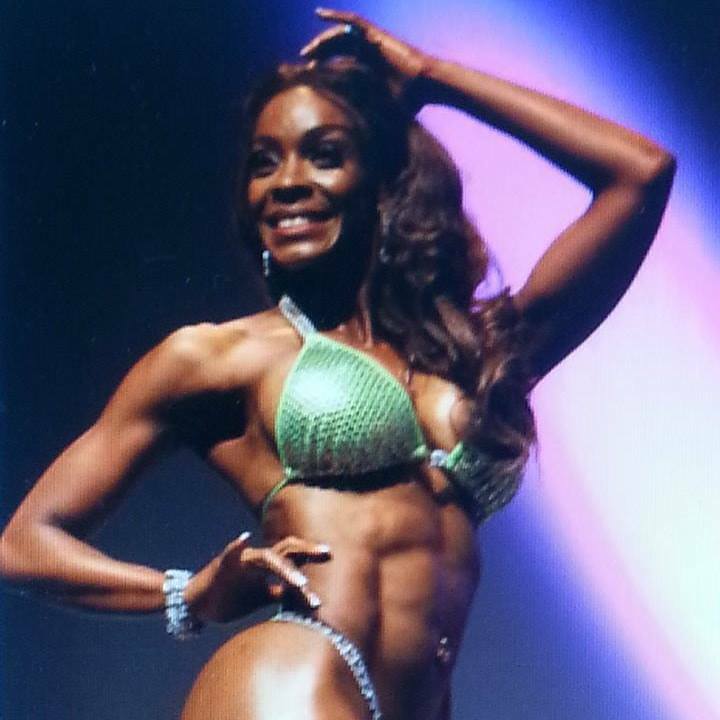 I was awarded professional representative status (Pro Card) with the WBFF in 2014. I have trained and coached over a dozen girls to compete with the WBFF and NPC, many with top placements and three of which were awarded professional status with their organization. Transforming clients' bodies and their lives is what I truly live for. It is my passion and what I was meant to do. 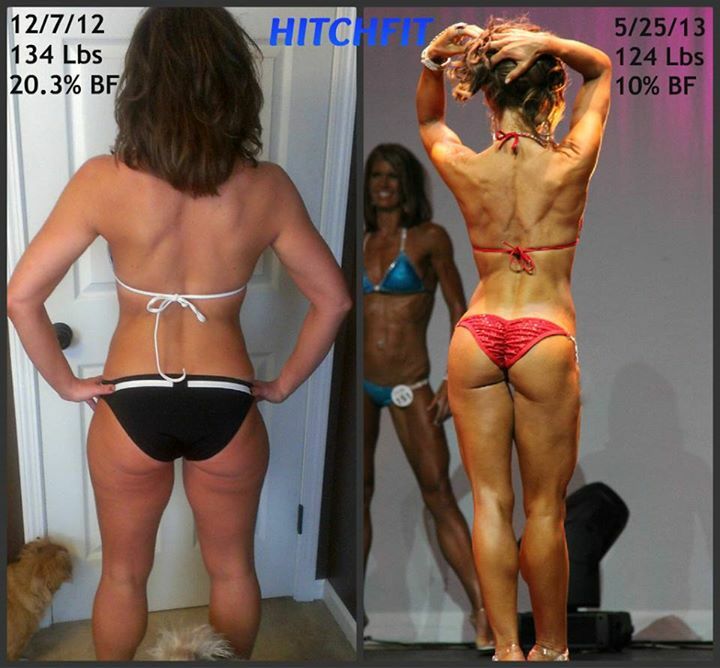 Below are a few examples of my clients transformations. "I loved my workouts with Rachel, tough as they were. Even though I miss those today, I now confidently walk into the gym, really anywhere, knowing that I am one of the only 44 year old guys I know rocking a six pack!!! " 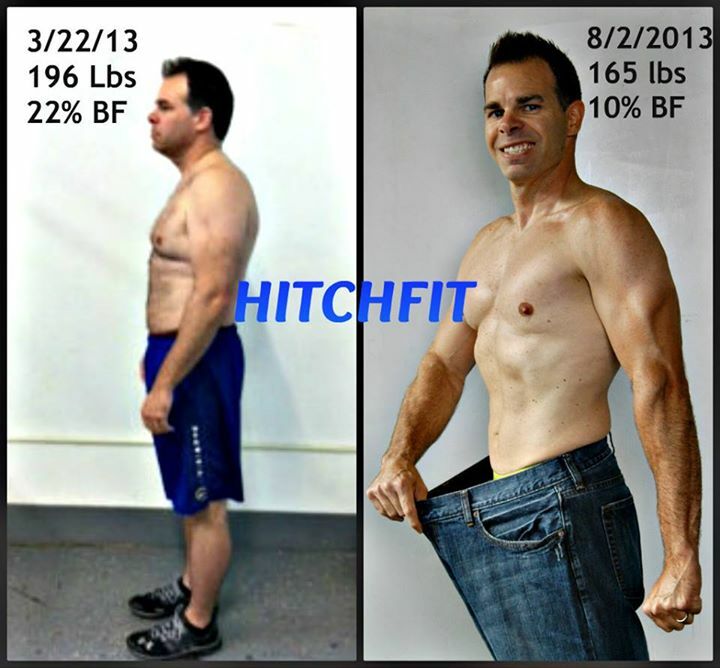 "My physical transformation is what everyone else sees, but what I truly gained from this experience was personal growth! I showed myself that I can be truly committed, disciplined and determined to achieve a "hard" goal!" "I had a C-Section delivery and my abdominals had to be cut on both sides. The Doctor told me I would never get my abs back. I can say that this is one of those life experiences that you get out of it what you put in. The reward is priceless, thank you Rachel." " I'm so thankful for Hitch Fit Gym and my amazing trainer, Rachel Godwin, who never gives up on me. I've learned so much and I'm so excited to keep going!"